At Slotsquad, we review online casinos for UK players. 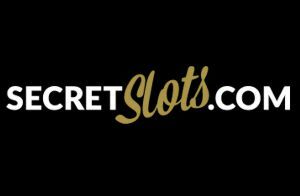 On this page, you’ll find a select number of websites to play slots and casino games. But we haven’t just plucked these brands out of thin air; if they’re listed below, it’s because they tick the right boxes. 100% Deposit Match and 50 Bonus Spins! While casino bonuses don’t usually affect our review score, we take a look at the details. It’s nice to get a good offer, but sometimes the terms and conditions can be painful. That’s why minimum deposit, wagering requirements and max win are worth knowing. Don’t judge a book by its cover, but read the title of the book. 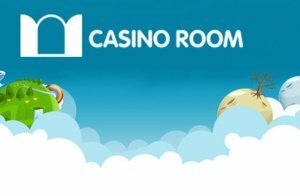 In each of our casino reviews, you’ll find the latest offers from each brand. Whether it’s free spins, deposit matches, bonus money without deposit or even multiple deposit bonuses, you’ll know about it quickly. Out of the hundreds of UK casinos and slot sites, not all of them look good on your mobile phone. That’s why responsive design is essential, is the casino mobile friendly? If you like playing at a particular gaming website, does it work on your smartphone? Can you take your online casino outside? When we review “casino A”, we’ll do it through shifting between tablet, desktop and mobile phone viewpoints. So in short, you can bet your lunch money that each of the websites above can do the mobile casino thing pretty well. That means responsive, portable and easy on the fingertips. The most important part of any online casino review is the games variety part. And it’s not just about the numbers. It’s quality over quantity, but quality with quantity. You want slots and games worth playing. That’s why we hate boring and like entertainment. If you’re playing online roulette, you want class and style. With progressive games, it’s about the jackpot. Slots? That’s easy; our online slots features guide explains why it’s worth playing slots. You’ll see! Each review will tell you the total count of games for that particular casino. What’s more, we’ll include some of the best slots recommended by Slotsquad. Something else to think about is customer support. If there’s a problem with banking or you’re waiting forever to get that withdrawal request, someone needs to sort it out. With that, online casinos need to support their players, and we look at that too. Slotsquad isn’t just about reviewing slots, games and casino websites; it’s also about the personal touches. By that, we mean human contact. There is nothing worse than robotic, automated and alien distant support networks. Our casino reviews include customer support, how they do it and how well they do it. Do not trade games and bonuses for poor player support; we find the right balance. FAQ, live chat, telephone and email, you want sites that can offer all of these. 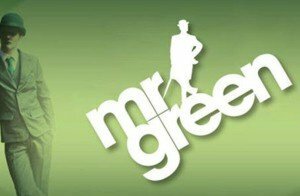 You might have seen the TV adverts with the £200 free bonus or the 100 free spins etc. But that’s just the beginning. What happens afterwards? Don’t get us wrong, we love good casino bonuses, but its membership that matters most. 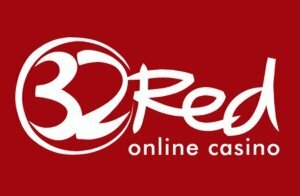 What do I get when I join an online casino? You’ll get access to games, but if you do your homework (we’ve done that for you) there’s so much more (If you choose the right brand). VIP programs, loyalty points, bonus spins on new slots and the latest games, cash back and big prize competitions. You can even win holidays at some gaming sites! Slotsquad reviews look long term. It’s not just about the free spins and that first deposit bonus, think membership value and the stuff casinos do to keep their websites interesting. Like in bricks and mortar casinos, online gambling requires payment methods. If you want to win real money, you need to play with real money. At this point, payment providers step up. Banking is essential when playing online casino; there are deposits and withdrawals, processing times and on occasion, additional fees. That’s why we score sites on payment methods as part of our review process. Payment methods might include Visa debit cards that are instant or e-wallets such as PayPal and Neteller. Looking at how casinos tailor their banking system is a good indicator of trust. Meaning variety, security and not too much hassle when we deposit or withdraw. A website that provides remote gambling (online or through other means), and advertises to consumers in Britain, needs a licence from the UK Gambling Commission. The Gambling Commission was set up under the Gambling Act 2005 to regulate commercial gambling in Great Britain in partnership with licensing authorities. UK casinos featured at Slotsquad are subject to this regulation and hold the appropriate licences. By reviewing regulated brands, we only recommend trusted, fair and licensed remote gaming websites. The most important part of our online casino reviews is bringing everything together. Usability! How easy is it to use a website. Can you join quickly, find games easily and ask for help when needed. We call it software and simplicity. The trick is finding casinos that look brilliant but don’t have complicated software possessing them. Good software means new slot games from lots of developers, simple user functions and slick playability. We’ve identified some of the better casinos for software and simplicity, making the whole experience more enjoyable. Subject to winning of course. This one speaks for itself; we wouldn’t review anything if it weren’t secure. Hackers are getting smarter, fraudsters don’t care and money moving around online is an open buffet. That’s why remote gaming sites need technical standards. Third party annual audits take place on our listed casinos to ensure security requirements meet the standards. It’s a testing strategy by boffins that means you and your personal/payment details stay safe and protected. If it’s listed, it’s secure. The terms and conditions for anything can be painful. Lot’s of writing, long English and clever legal words make for bedtime reading at best. But with any product review, you must look carefully. With online casinos, that means looking for the protection of customer funds. With three levels; basic, medium and high, gambling businesses must set out in their terms and conditions how or if they protect their customer’s money. So if something happens to the casino business, it doesn’t happen to you. UK casinos reviewed at Slotsquad will hold one of these levels of protection.